A lot of people are already throwing around the words “game changer” in reference to the upcoming FOX movie that breaks the fourth wall, but I wholeheartedly disagree. After attending a media screening for Deadpool last week, I would not use those descriptive words. Instead, I would simply describe it as being different. Not always great, not always horrible, the movie has its shining moments, but languishes somewhere in between. This made me wonder: What has been the ultimate portrayal of the Merc with a Mouth, so far? Outside of the Marvel comic books, Deadpool (aka Wade Wilson) really hasn’t received the pop-culture spotlight fanboys and fangirls have desperately sought for the sarcastic superhero throughout the years. Sure, attendees of practically any comic convention will immediately recognize the cosplayer in the skintight red-and-black costume spewing constant one-liners (and possibly profanities), much like the comic-book character whom it is based, but who, really, is Deadpool? 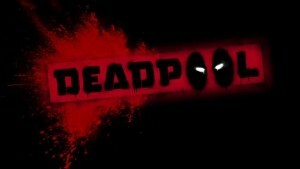 The character has changed allegiances and character traits more than a few times in the past, but I would submit the ultimate portrayal of Deadpool isn’t found within the soon-to-be-released self-titled movie, but comes from a different medium, entirely. The character’s best all-around representation can be found via the self-titled video game by High Moon Studios. 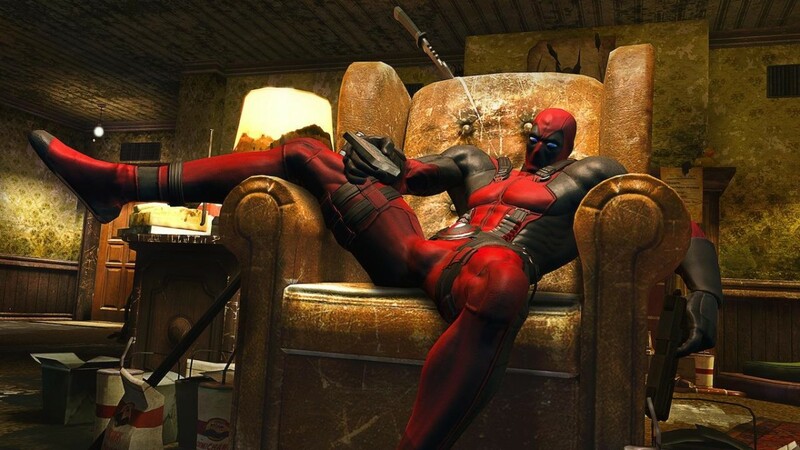 Even though Deadpool, the character, has received multiple origin stories and has already been retconned for the big screen, luckily, this is a different type of video game. Originally released in June of 2013 for consoles and PC gaming, the graphics still look good today and the storyline is still fun, less than three years later. Breaking the fourth wall, Deadpool stars in his own video game as part of a meta storyline, so naturally, he’s immediately going off script, just like in the comics which he stars. Initially hired to kill a corrupt media mogul, Wade eventually hunts down some of his arch enemies, which lead him to the major Boss Battle with Mister Sinister. Throughout the game, Deadpool interacts with a host of C-level characters (other than Wolverine), including Arclight, Blockbuster, Cable, Death, Domino, Psylocke, Rogue, Vertigo and a WHOLE lot of clones. As he battles through the bad guys, Wade spouts TONS of funny one-liners, regenerates after getting injured and talks to his id and ego, as if they’re separate people. Oh… and he also teleports. None of these characteristics shine as brightly in the new movie, but Ryan Reynolds pulls his own weight. In fact, there’s no teleporting in the movie, at all, which is one of many disappointments in the big-screen treatment. Unsure of basing a franchise around the often-outrageous character, FOX tightly gripped its budgetary purse strings with this movie. While not completely low budget, the movie was filmed in Canada, where SAG union rates are not imposed and only two X-Men characters were included in the film (Colossus, who teams up along with Negasonic Teenage Warhead). Very old music was used in the soundtrack (again, to save money) and the outrageous one-liners the character is known for using, seem to be at a minimum for this film. If anything, this big-screen version of Wade Wilson feels dumbed down (but not totally lobotomized, like Reynolds portrayed him in X-Men Origins: Wolverine) or muted (as if that’s physically possible), almost as if FOX doesn’t want the audience to get sick of the character after only one outing. Theatergoers can expect plenty of swordplay, lots of violence and an endless amount of ammunition in the movie that releases on Valentines Day weekend. How romantic. With a reported budget of only $50 million, it’s a safe bet to assume the movie will, at the very least, break even and most likely earn enough money to warrant a sequel. As a huge fan of the Marvel Cinematic Universe, seeing new superheros receive the big-screen treatment is a good thing, but on the other hand, I’d rather FOX’s further mutant adventures cease and desist, so Marvel’s creations will be allowed to reunite for the best type of adventures ever to be seen on the big screen. 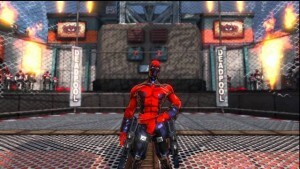 After you go to see the new movie, do yourself a treat by renting or purchasing High Moon Studio’s Deadpool video game. Its portrayal of the superhero character is superior to the big-screen version and you’ll realize there’s a lot more to this Merc with a Mouth than what’s actually shown in the movie, and that’s actually a good thing.